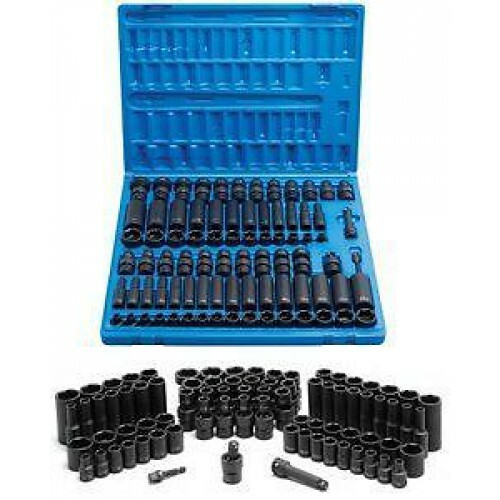 This set contains our most popular 3/8” drive 6 point sockets and universals with extended range metric sizes up to 22mm. 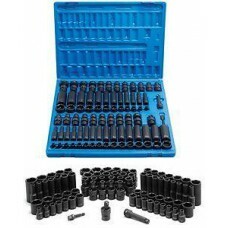 Also included is a 3” extension, universal joint and 1/4" hex to 3/8” square adapter for use with hex drive impact tools. All packed in a compact, low profile, blow molded storage case which can be used as a tool box organizer when the cover is removed.